EASY CARE Machine wash in cold, dry ironing allowed below 30 degree, Size Change 2%-3% SIZE Please according to the describe offer size to choose suit for you size, maybe exist 2-5cm difference,We are artificial measurement, at the time of production will have difference is no way, no guarantee that the size of the accurate Thanks for you understand! Made from 100% Polyester! Designed to help you get a better nights sleep and wake up feeling refreshed and rejuvenated! 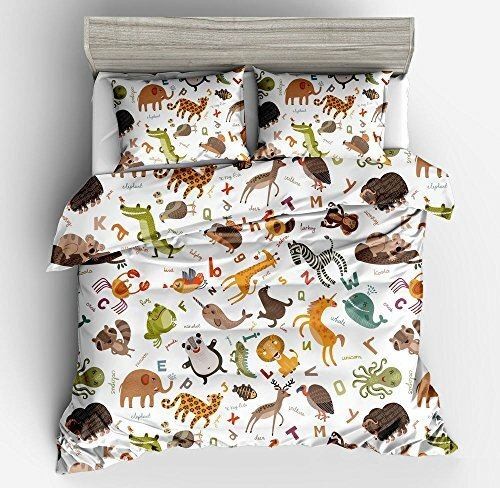 Twin-size set includes Duvet Cover and 2 standard-size pillowcases. Ease Case - Machine wash in cold. Tumble dry low. Remove Promptly.Require no ironing. If you have any questions about this product by Jwellking, contact us by completing and submitting the form below. If you are looking for a specif part number, please include it with your message.